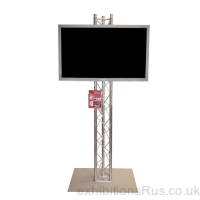 If you are looking to to stay at the forefront of public interaction methods, you should consider an interactive audio visual display stand of some kind. 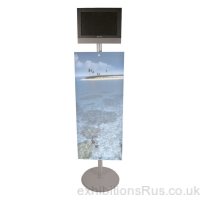 Modern multi media display systems are now much reduced in price, making huge advances in styling, adaptability and versatility. 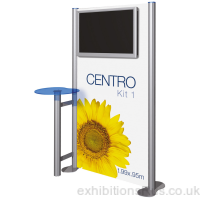 All are portable, quick and easy to assemble and some are quite adaptable allowing for extra elements to be added as your requirements change with time. 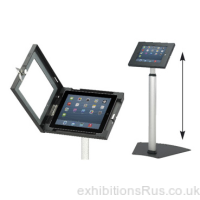 Everything is going digital, it’s no surprise that point of sale, general sign and information points are developing along this route too. 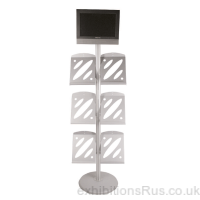 Todays audio visual display stands, increase in variety almost monthly, what ever your application there is a unit to suit your needs or one that could be adapted. 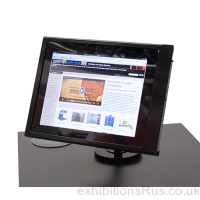 A little customisation is also possible with some of our systems. 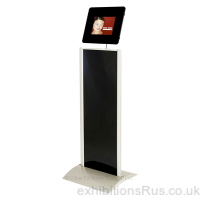 Multimedia displays can be used for a variety of uses, indoor and exterior systems are now possible, all you will need is a power supply on site, ready to plug straight into and your in sales or promotional tool is full filling its purpose. 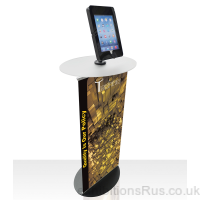 These units also go well with our larger free standing promotional displays, incase you are looking to incorporate a smaller Av stand into a setup you already have. 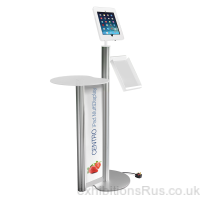 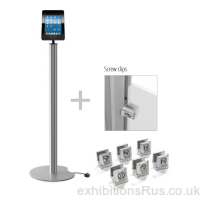 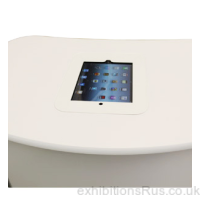 The use of an Lcd screen or an Ipad is ever popular in the retail, conference and exhibition sectors, and is growing steadily in Hotel foyer’s, Office receptions, Show rooms, Garden centres and Schools. 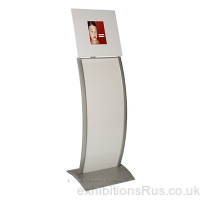 Call 01256 768178 and discuss for interactive display needs.